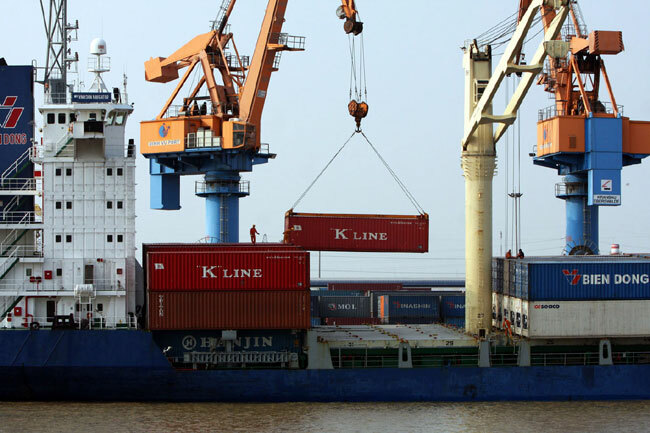 HAI PHONG (VNS) — The volume of goods to pass through northern Hai Phong City's ports in the first three months of the year reached 15.48 million tonnes, up 14.25 per cent from the same period last year, representing 23.82 per cent of the yearly target. The Hai Phong Port Joint Stock Company was the biggest contributor with 5.33 million tonnes of goods carried through its gates. It aims to transport 20 million tonnes of cleared goods by the end of the year. According to the company's general director, Nguyen Hung Viet, the port will continue to be a key player in the northern region if it can carry on its service quality improvements, administrative reform and income hikes for staff. In an attempt to enhance port management and logistics service, the Hai Phong Port worked with the German development agency GIZ, training 40 staff members in sustainable management, seaport marketing and regional development.